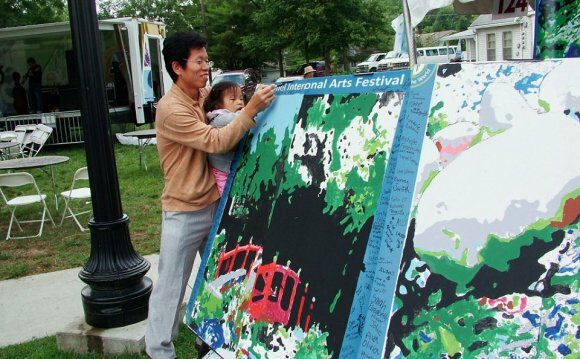 The Festival Committee invites you to submit your entry for participation via Zapplication in our exciting 19th annual Carmel International Arts Festival. Please join the Festival’s “Celebration of the Arts”, in the Carmel Arts and Design District on Main Street in Old Town. Below you will find artist information, and requirements for entry. • All work must be original and completed within the last two years. Signed and numbered prints of an artist’s work are allowed but cannot be more than 50% of the displayed work and must be signed and numbered by the artist. Offset lithographs and giclees permitted with above 50% applied. The 50% does not include photography. • Submissions must be representative of the work to be shown at the Festival. • Collaborating artists are permitted; only their joint work may be shown. Both names must appear on all application materials. • Artist may apply to exhibit in more than one media category; however, they can only sell work in the media accepted by the jury. Separate jury fees apply for each media. • Photographers’ works must be individually signed by the artist. • Gallery Booths are not allowed due to space limitations. • Accepted artists must arrive one hour prior to the Festival’s opening and remain on-site throughout the Festival’s operating hours. • All work needs to be 90% handmade. We will not allow jewelry made primarily of bought beads. Notification of acceptance/denial will be made no later than June 15, 2016. • Artists designated parking area • Designated booth sitters provided to allow artist breaks • Overnight security walk through provided – this will be increased drastically this year • Complimentary water • Easy drive-up to load and unload. Artists will be located on Main Street and Rangeline Road in the Carmel Arts and Design District. Booth space areas still to be determined. Artists must supply or rent a 10’X10′ tent with concrete weights to protect against strong winds.NO CONCRETE NAILS OR STAKES OF ANY KIND ARE PERMITTED. Artist must bring their own booth display equipment and their own table and chairs. Electrical hook-up is available for a fee of $25. Artists should supply their own extension cords, lighting, etc. "Slammer Jazz Rocks at Carmel International Arts Festival"
Face 2 Face Movie @ Carmel International Arts Festival.